We’re always told never to buy a car without a service history, but how much difference does it really make? Should you automatically discount the purchase of a used car just because its service history is missing or incomplete? And what difference does it make if the car has been serviced by an independent specialist rather than a franchised dealer? 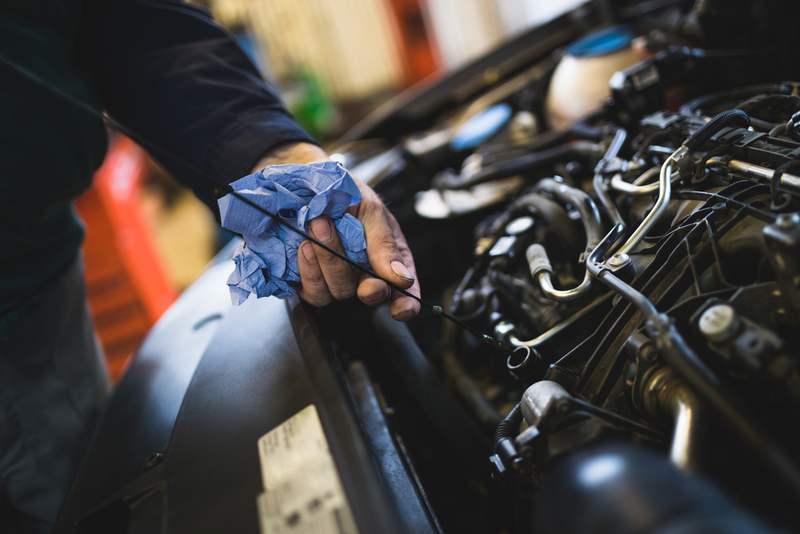 Without a service history there’s always the suspicion that a car hasn’t been maintained properly, and while any history is therefore important, as a car gets older and its value drops a service history can make less of a difference depending on the car’s mileage and condition. It also matters what maintenance isn’t documented (such as a minor or major service) and how desirable the car is, because of its brand and type. For example, a five-year old petrol-engined city car will always find a buyer because such vehicles are very much in demand; a lack of service history will affect its value only marginally, while a car with a partial service history would be worth slightly more than one with nothing at all. Contrast this with a fairly new premium executive car, which will be pretty much unsaleable without a service history, even though once again such cars are perennially in demand. A youngish premium car would also be expected to have a service history from the franchised network, whereas with an older one it would be acceptable to have a non-franchised history. A spokesman for The Car Buying Group told us: “How much difference a lack of service history makes to the value of a used car varies according to its make but we’d expect to knock at least 15% off what we offer for it. “Depending on the car’s age and make a partial history might be acceptable, but if it’s more than two years old and comes with no history at all its value will be dramatically affected – it could be worth as much as 40% less than an equivalent car that comes with a full service history”. Arnold Clark’s Adam Price comments: “If the car is still within its warranty period a service history is essential, but it doesn’t matter whether the work has been done by a franchised dealer or an independent. What matters is that it has those service stamps, because if something goes wrong and it hasn’t been maintained properly, no manufacturer will be able to honour the warranty. We take cars in part exchange even if they don’t have a service history and the price we pay is based on the car’s condition, although a service history does make it more attractive. If the car’s condition isn’t up to our standards for the forecourt we’ll put the car into auction regardless of the history that comes with it”. When Kwik Fit quizzed 2000 car owners on how important a service history is to them when buying, almost half said that they wouldn’t even consider buying a car without a full complement of stamps in the book. Of those who would consider buying a car with an unknown history, they would do so only if they were paying significantly less to take on the potential risk. The average discount that buyers expected to receive was 19% compared with an equivalent car with a full history. Or to put it another way, miss out on a few hundred pounds’ worth of maintenance and the value of your car could plummet by a lot more. Of the traders we spoke to, the consensus was that as long as the car has been maintained to the manufacturer’s schedule, where a car is serviced should make no difference to its value. However, it’s more desirable to have the franchised dealer history, particularly with prestige or executive cars, and these cars would be considered ahead of those with a non-franchised history. Worcestershire-based car dealer Simon Rayner comments: “In many cases nowadays a car’s service history is recorded on a dealer network’s computer rather than in paper form, and accessing that information can be difficult later on. Somebody offered me a trade-in recently and although it was a decade old it had always been maintained by the official dealer. But because of data protection regulations only the current owner can access that information, so I couldn’t see what maintenance the car had had. As a result the vendor had to get everything printed out to prove that the car had been maintained”. This computerisation is a double-edged sword because while it can make accessing records more difficult, it also makes it easier to obtain a duplicate service book, which most manufacturers can provide. Complications are rare; you’ll need to prove that you own the car, the book may be marked as a duplicate and it may be that the service records don’t go back to when the car was new, but piecing everything together is usually possible. Crucially, many owners assume that for their warranty to remain intact they have to get their car serviced at a franchised dealer. However, according to European law this isn’t the case; car makers have to allow independent specialists access to the necessary diagnostic equipment at a “reasonable cost”. The key is to stick to the recommended servicing schedules and to use OE-quality parts. This is why it’s always worth shopping around at service time, because over the years that you own a car, you could save on maintenance costs while ensuring your car retains as much value as possible by keeping up that service history. Whether you’re buying or selling, use our free tool below to get an accurate car valuation on a UK registered car.